I’m driving down I-5 toward Capitol Hill through incessant, aggressive rain. The kind of rain that we don’t often get here in Seattle, yet the kind of rain that everyone who’s never been to Seattle believes that we get. Unlike your Midwest and East Coast rain, which usually appears in big drops and frequently comes down in blanketing sheets that temporarily render your windshield wipers useless, our Pacific Northwest rain is usually more of a mist. Constant moisture in the air, not necessarily requiring an umbrella but just a raincoat. You might not even feel the tap-tap-tap of drops on your jacket, but you look down and there you are, your Gore-tex gear is indeed wet and protecting your clothes from becoming soaked. But I digress. Not today. Today, there is a lot of rain. Exactly the kind that you probably think of when you think of Seattle. 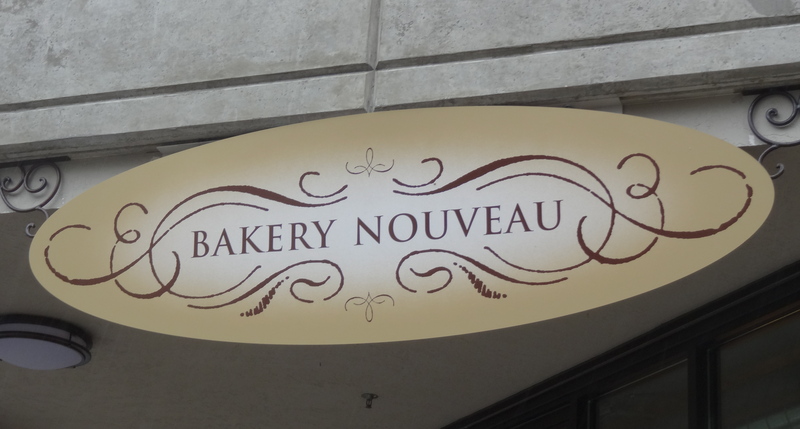 Driving through heavy rain is not a very intimidating obstacle to overcome when your destination is Bakery Nouveau. Bakery Nouveau’s original location is in West Seattle but they now have a Capitol Hill outpost that opened in 2013 and is much more convenient for me to get to. Everything I’ve ever eaten from the bakery has been amazing and left me craving more. 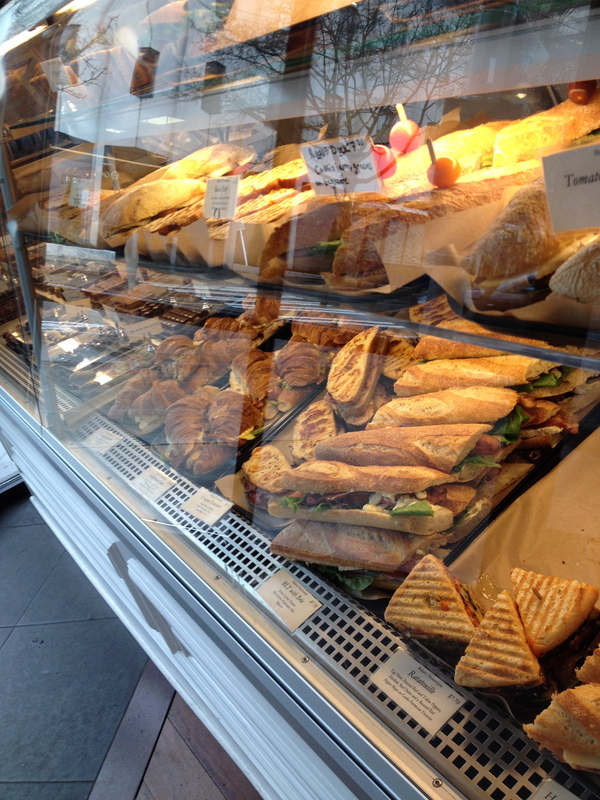 Assorted breads – sweet and made with nuts, salty filled with olives, sourdough, baguettes. Oh, the baguettes. You should probably grab 2 while you’re there. Might as well… but don’t forget to stop somewhere for some chevre on the way home. 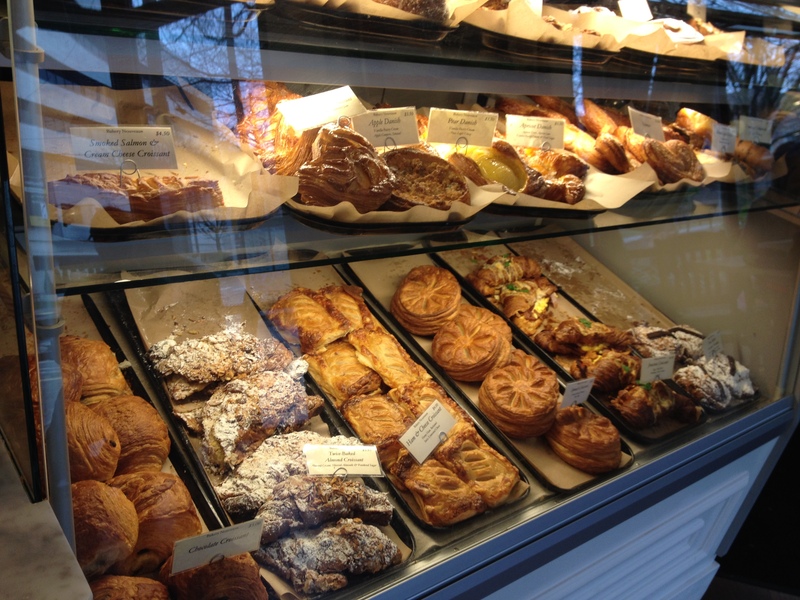 Flakey, buttery, rich pastries – danish, croissant, brioche. Multitudes of cakes, tarts, mousses and Parisian macaroons. Pizza made from heavenly dough served thinner or Sicilian, crunchy and delicious -topped with all sorts combinations of specialty cheeses and meats, exotic mushrooms and caramelized onions. Pre-made sandwiches all put together with fine cheeses and meats, piled generously and artisanally on their delicious baguettes, ciabatta and daily breads. Plan your visit and go. Don’t think too hard about it. There will be plenty to ponder once you reach your destination and need to make a decision on what to eat at that moment. And what to bring back home. Because you should bring home. Because if you don’t, you will regret it. Later in the day when you’re sitting at home thinking about the tantalizing treats in which you earlier had partaken. So don’t worry if it’s pouring rain when you leave to go. Even if it’s the kind of rain that we don’t often get here in Seattle, yet the kind of rain that everyone who’s never been to Seattle believes that we get. Inside the bakery it’s warm and dry. And all will be forgotten in that moment when you take your first bite of whichever delectable baked treat that you choose. 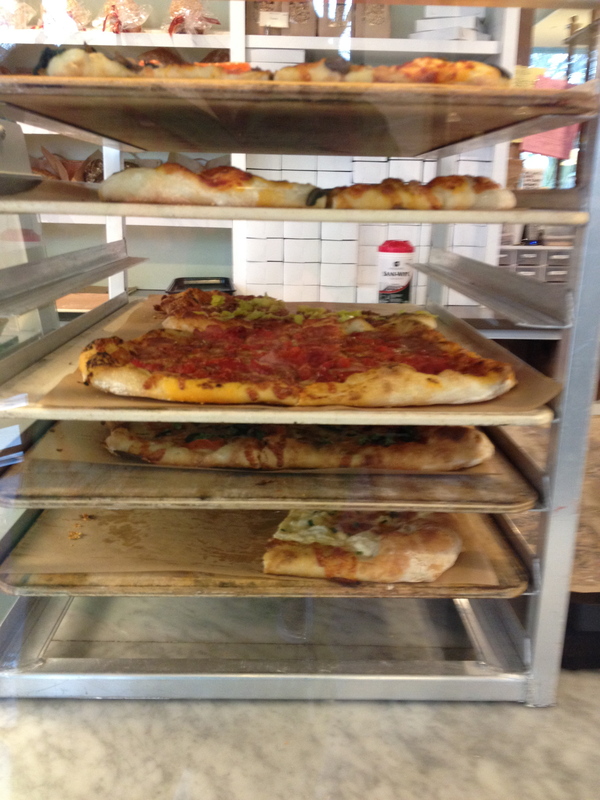 Bakery Nouveau has 2 locations. 137 15th Ave E.